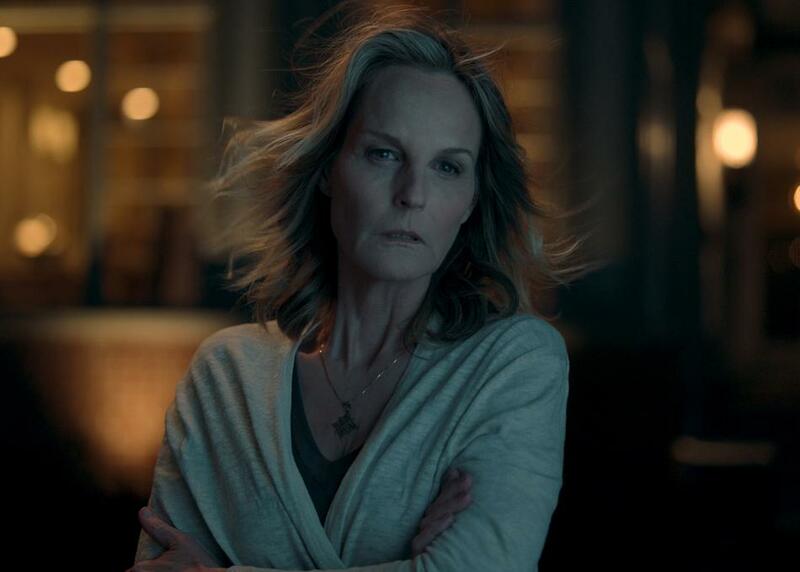 As Jackie, Helen Hunt leads a cast of secretive characters in their pursuit of a privileged, suburban American dream in Adam Randall’s I See You. That idyllic existence was recently disturbed by Jackie’s infidelity with her high school sweetheart, but this new dynamic also seems to have stirred up something much more evil, which begins to tear at the family’s life more fiercely than anyone could imagine. Bizarre and inexplicable things began to occur around the house. And it does not stop at their household. The eerie presence seems to spill into their community as a 10 year old boy goes missing on a bike ride in the woods. Under pressure to deliver results both at home and at work, Jackie’s police detective husband Greg must resolve the mysterious evil once and for all. The soundtrack in Psycho famously made people jump out of their skins in discomfort. The music in I See You likewise brought a disquiet to the theater, but in a far more forceful and blanketing manner. As I am sure it was intended, it really did bother me. There was a malignant, pervasive dominance to it that gave the feeling that it could not leave anyone unscathed. The drum rhythm pushes the plot ahead, and the discordant score dissuaded me from being curious about what the disfigured instrument which produced the sound looks like. As the film unfurled towards the inevitable end, like a red carpet rolled up with skeletons from the closet, the audience is forced to confront both the characters and their own expectations. As a midnighter, I See You is an excellent horror/thriller. As a matinee, you would be too alert to forget what you see. Either way, easily recommended. This past Monday afternoon, two of my favourite festivals in the world came together at the Meet The Nordics showcase at Fareground co-presented by Denmark’s Roskilde Festival. Yes, SXSW and Roskilde together at last – it was like a sort of peanut better cup of music fests. To kick it all off for the evening, the organizers even brought in the Crown Princess of Denmark to give an opening remark of sorts. Of course, this being Austin during SouthBy … she was stuck in traffic. So before things officially got going, those in attendance were instead treated to some guy vamping to kill time by doing some pretty awkward crowd work while they waited for Princess Mary to arrive (“What is your name? And how old are you?”). Once she finally arrived, she addressed the crowd with a nice rundown on the state of the Nordic music scene and also managed to sneak in a nod to her Australian roots with a reference to Muriel’s Wedding after mentioning that ABBA’s Bjorn Ulvaeus would also be appearing at SXSW this year. Olsen and his bandmates had many choice moves that made the case for this self-described “best rock and roll band in the world”, including the moment when Olsen ventured out to sing in the crowd, blocking people’s phones with his hand as they tried to take pics and the moment near the end of their set when the entire band, with guitars over their heads and behind their backs, played the riff from “The Boys Are Back In Town”. That’s some good rock and roll right there. Best in the world? 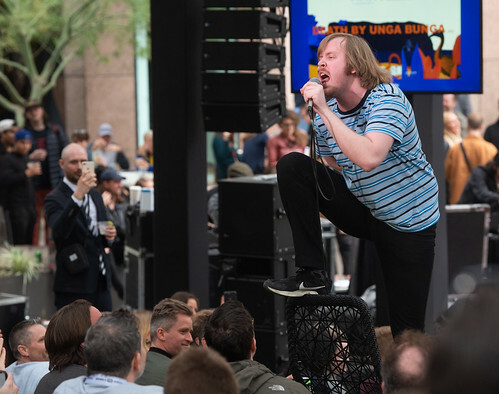 Maybe, maybe not, but Death By Unga Bunga are big, dumb, fun rock n’ roll at its best. One of the first things I did once I got into Austin for SXSW was attend a session on “The Women’s Evolution in WWE and Beyond” wherein the panelists (Charlotte Flair, Stephanie McMahon and Paul “Triple H” Levesque) discussed how women wrestlers were coming to the forefront within the WWE. And while it may seem like a stretch to equate the likes of Flair or Rhonda Rousey with diminutive Chvrches singer Lauren Mayberry, I got a similar sort of “this woman will take no prisoners” vibe from Mayberry’s performance at Antone’s as part of the Capitol One House later that night. Aside from worrying about whether playing at a bank sponsored show meant she would have to do maths, Mayberry also commented on the size of the venue and how they can’t really play smaller venues like this anymore. “That sounds like a humblebrag,” she said, but it is also absolutely true – the band’s sound and their show seem much bigger than what the relatively small stage at Antone’s can hold. As Lauren Mayberry moved about that stage, making big dramatic gestures and occasionally twirling around, she proved that while she is by no means a pro wrestler, her personalty and energy while performing can fill much larger stages. 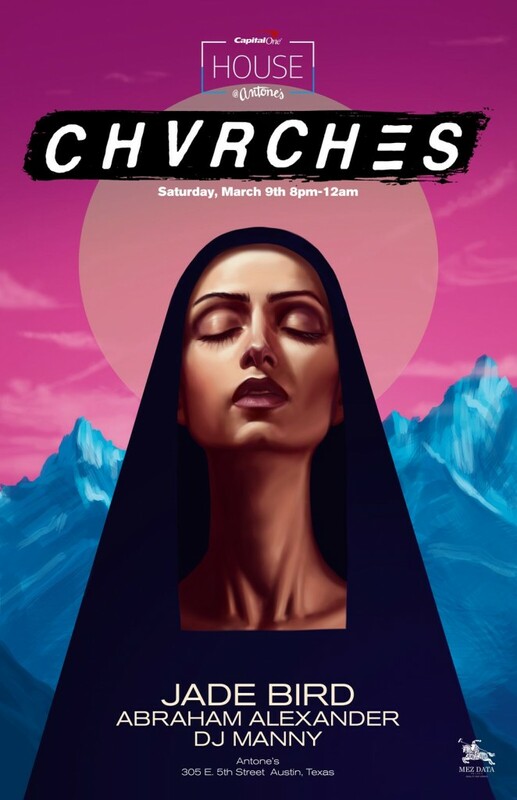 I’ve seen Chvrches a few times over the years, dating back to when they first played SXSW six years ago and in that time, they have only continued to get more and more impressive. They are always a delight to see live.